Friday: We will be on the road by 8:45 AM in order to meet Mark and Chris Miller at Carl’s Jr. in Nogales by Noon. The Carl's Jr. address is 800 W Mariposa Road, Nogales, AZ 85621. Take I-10 east to I-19 south to Exit #4 Mariposa Rd. We will eat lunch, fill the gas tanks at the gas station next door. We can trade Dollars for Pesos at a money exchange there. We will need exact change for the toll roads in Mexico. Chris will give us an update on the cost and getting the correct change. We will drive to the hotel in Hermosillo, check in to our rooms and then head out to Casa. 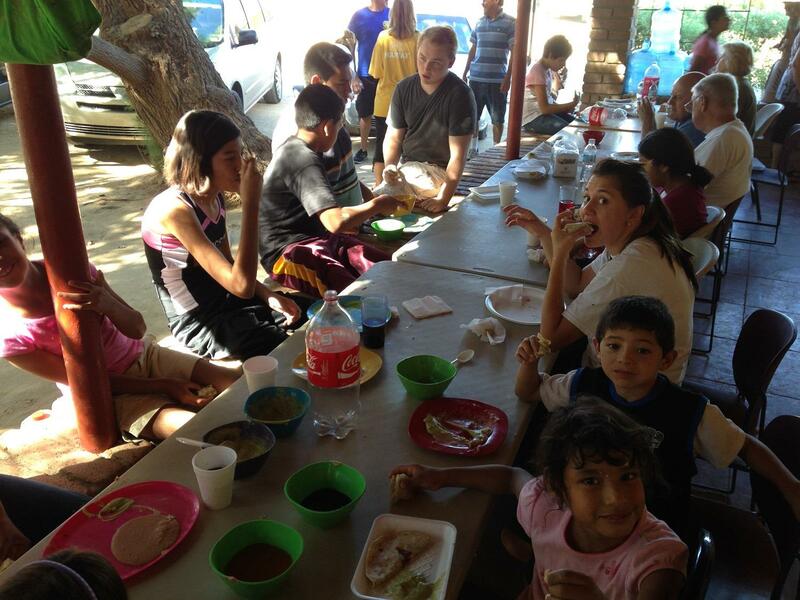 We will meet the children, prepare the dinner meal and enjoy dining with the Casa family. Saturday: We will breakfast at the hotel, then head to Casa for a full day of painting. We will be there from 9:30am to 5pm. Please bring your own paint supplies and paint rags. The paint will be provided for us. Back in Hermosillo there are plenty of local restaurants in the area for dinner. Sunday: We head back to the US after our hotel breakfast. We might stop for sights, and/or lunch along the way.